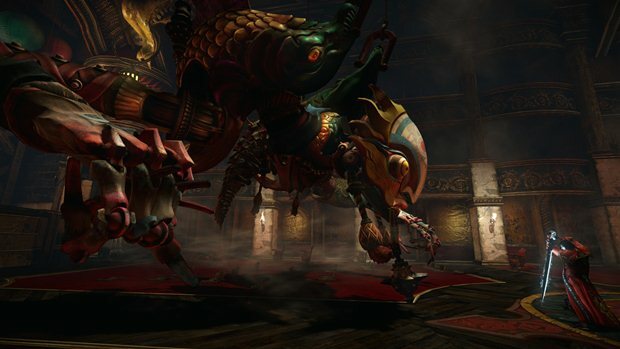 The PC version of Castlevania: Lords of Shadow 2 is no bare bones. Dripping in blood red high definition with a pixel count that’s worth every bite. The effort taken to truly maximise the PC platform with Castlevania: Lords of Shadow 2 is one that overshadows it’s console brethren. However as rich and detailed that the PC version is I couldn’t help but feel the thirst for more. 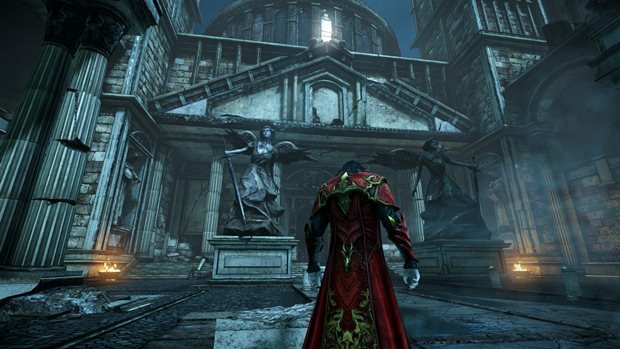 Unlike the original Castlevania: Lords of Shadow which was ported to the PC a better late than never three years after the initial console release which was in 2010. Castlevania: LOS 2 on PC has been developed alongside the Xbox 360 and PS3 versions and the care taken to make it truly standout is shown within its darkest shadows and terrifying environments. Giving the player what he or she deserves is the option to render the game in a full HD native 1080p. Castlevania: LOS 2 looks sharp and crisp even without any form of anti-aliasing applied, which comes in three scalable options. What’s great and largely functional about this custom form of anti-aliasing is that it has no effect on the game’s performance which is by large very satisfying and stable. Although expanding upon the original game’s port within the PC specific list of options it doesn’t do much to push the boundaries on what the majority of PC gamers are used too, nor does it go into detail regarding these options such as the type of AA used or the level of texture filter being applied. "In the shadows tab for example where most games would provide various levels and different options to this feature such as shadow filtering, shadow resolution, and shading, Castlevania: LOS 2 keeps it simple. While this isn't in fact a bad thing it's a noticeable topic that will no doubt have attention being fed towards it from those that are used to doing advanced tweaking." These options prove to be fairly satisfactory without moving into the realm of insultingly over-simplified. Along with AA and texture filtering the player is provided with control over the game’s particle, lighting, and shadow quality settings through various levels, although the information given here remains fairly lackluster in the methods being used as well as its explanation which is displayed alongside it. In the shadows tab for example where most games would provide various levels and different options to this feature such as shadow filtering, shadow resolution, and shading, Castlevania: LOS 2 keeps it simple. While this isn’t in fact a bad thing it’s a noticeable topic that will no doubt have attention being fed towards it from those that are used to doing advanced tweaking. Topping things off we have your common v-sync and motion blur coupled with depth of field and a high-definition texture pack. In its most basic form of providing the player with graphical settings that range from Low to High, and a few exceptions ranging from Low to Ultra, it’s good for what its worth. V-Sync as usual eliminates any screen-tearing may arise and the high-Definition texture pack can be disabled should the player so desire. Testing across multiple systems, I personally recommend enabling both for the sheer sake of graphical superiority the PC platform offers, as well as the non existent performance hit that the HD texture pack actually has on the system. "The attention given to Dracula's pale, wrinkly, ashy skin and heavy leather drapes are rich with detail and texture. The textures and resolution will come to many as the most noticeable visual upgrade that the games holds over its console counter-parts." Running rock-solid and tailoring well across various different set-ups, the optimization here is something to give a thumbs up to. Looking back on the first Lords of Shadow game the visual improvements given to the main character Gabriel or as he now refers to himself “Eu Sunt Dracul” aka Dracula, is a visual upgrade in both graphical detail as well as its overall art style in presenting realism. The attention given to Dracula’s pale, wrinkly, ashy skin and heavy leather drapes are rich with detail and texture. The textures and resolution will come to many as the most noticeable visual upgrade that the games holds over its console counter-parts. The effort applied in making Dracula so detailed and filled with visual fidelity extends into the game’s environment. The pillars of Dracula’s castle are filled with cracks and a stony decay and the curtains and fabrics appear aged and rotten in the far draw distance of the long halls and corridors. 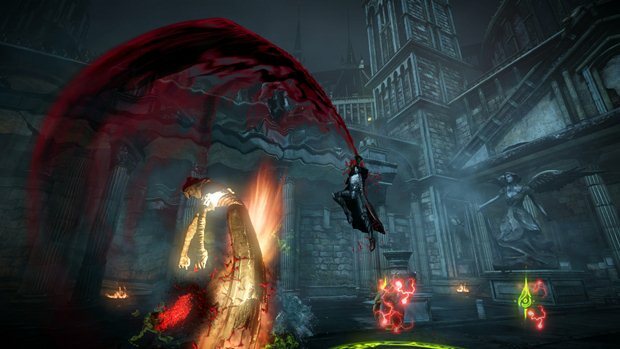 In a game where Gothic violence and creatures of dark fantasy revolve primarily around an old towering castle that just so happens to be the home of Dracula, the shadows, darkness, and immersion factors play a significant role in connecting with the player and delivering that sense of believability and fright. Despite the lack of emphasis on the shadow settings in the game’s graphics menu, the game itself takes clear advantage of the process that’s being applied. The environments present themselves as grim and moody as they should rightfully do, and the added detail provided by whatever shadow settings are being used, manage to deliver that extra polish. 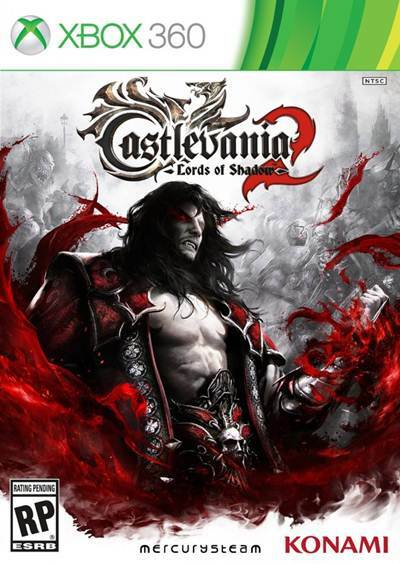 It should be said that while Castlevania: LOS 2 is a step up above the other versions as well as the port of the original game, it’s by no means a graphical benchmark or something that would be held up against the likes of Ubisoft’s Assassin’s Creed 4 or CD Projeckt Red’s The Witcher 2. "Credit must be given where it's due, Konami and MercurySteam clearly know what they're doing with the PC if they didn't already prove that with the port of the first Lords of Shadow." This isn’t to say that the game looks bad however, far from it infact. Lords of Shadows 2 is an amazing looking game not to mention performs like a charm. For those who may have had doubts that the game would end up on the PC Port Avoid List alongside Darksiders 2, Dark Souls, and Saints Row 2, you have nothing whatsoever to fear. My only real gripe with the PC version of the game is in itself something of a personal matter that only a few will actually relate to, and that’s the option to completely disable the Motion Blur. The game allows you set the feature from Low to High but completely disabling it is forbidden. As I said it’s personal not game breaking, and when setting this to Low it’s only noticeable around fifty percent of the time. It’s remarkably easy to tear apart a game for not functioning properly or visually appearing as good as what you would expect it to be, especially in an era of gaming where games are being released without proper optimization given towards them before release, and are swarmed with patches almost every other week. But credit must be given where it’s due, Konami and MercurySteam clearly know what they’re doing with the PC if they didn’t already prove that with the port of the first Lords of Shadow. Looking ahead to the future it will be interesting to see how they improve and gain a better understanding of the platform and push out games that remain as optimized as this one, while progressing visually.